In this paper, first a novel 4-DOF parallel kinematic machine with rotational capability around a horizontal axis is presented, and its kinematics are derived and reachable workspace is obtained. Then, an interpolation algorithm for circular motion generation of a novel 4-DOF parallel kinematic machine is proposed. The algorithm consisted of two steps: the rough interpolation in end effector space, and the fine interpolation in the actuator space. Further, the method is validated by simulation of a random circular path. Moreover, experiments are conducted by machining circular profiles at different locations of workspace with varying radius, and their chordal and radial errors were obtained by measurements in profile projector and fitting with least square function in MATLAB software. 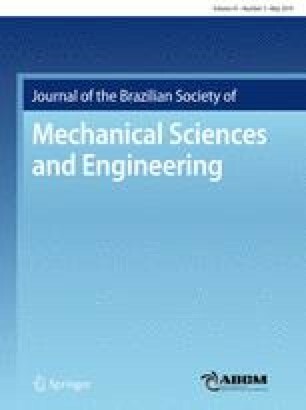 Obtained results indicated that the developed parallel mechanism is capable of generating accurate motions for machining tasks.